In an environment of abundant and divergent policy advice of what should or should not be adopted as part of a robust digital innovation economy, having a clear understanding of the opportunities and unintended consequences will be vital in making timely and informed decisions. [ + more ] .. This is evidenced by the advent of the sharing economy and other unfettered innovations that are increasingly being empowered by everyday entrepreneurs. The increased pervasiveness and impact of the Internet and hyper-connectivity on the global economy is also a subject of great interest of many governments around the world. Fostering open and inclusive Internet policy is seen as paving the way for economic and social well-being. 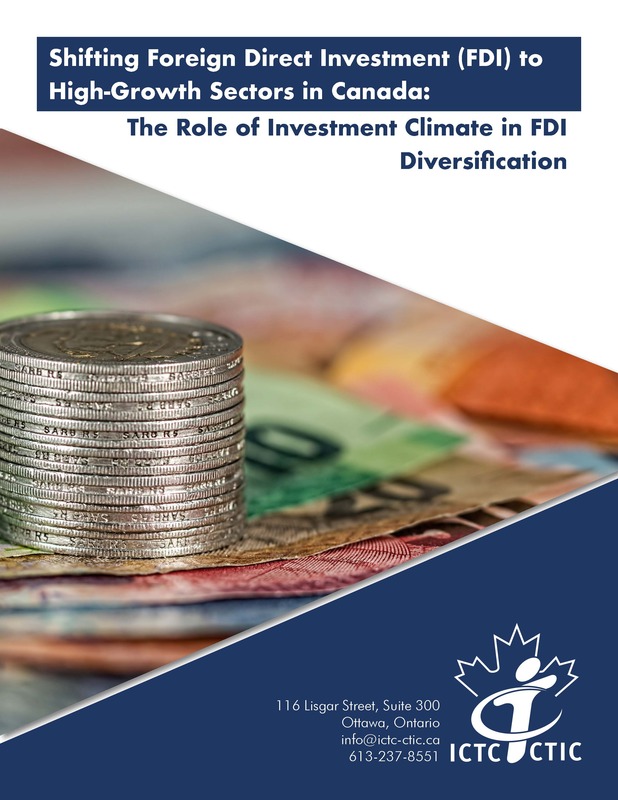 The accelerated wave of business transformation in Canada, however, comes against a backdrop of a sluggish global economy, and soft commodity prices. Despite a weaker Canadian dollar, Canada’s trade deficit has not seen significant improvements, resulting in only modest GDP growth for the last three quarters. Additionally, amidst the recent Brexit fallout in Europe and the looming presidential elections in the US, trade expansion may also prove to be challenging. Positioning Canada in a global market place will be key in the coming years. 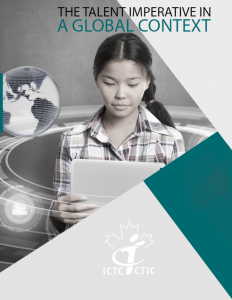 Canada’s digital economy currently contributes around $74 billion per year or 5% of GDP, and employs around 1.15 million Canadians. As technology continues to permeate every sector of the economy, the cumulative contribution will be a strong driving force behind our nation’s economic growth and prosperity. 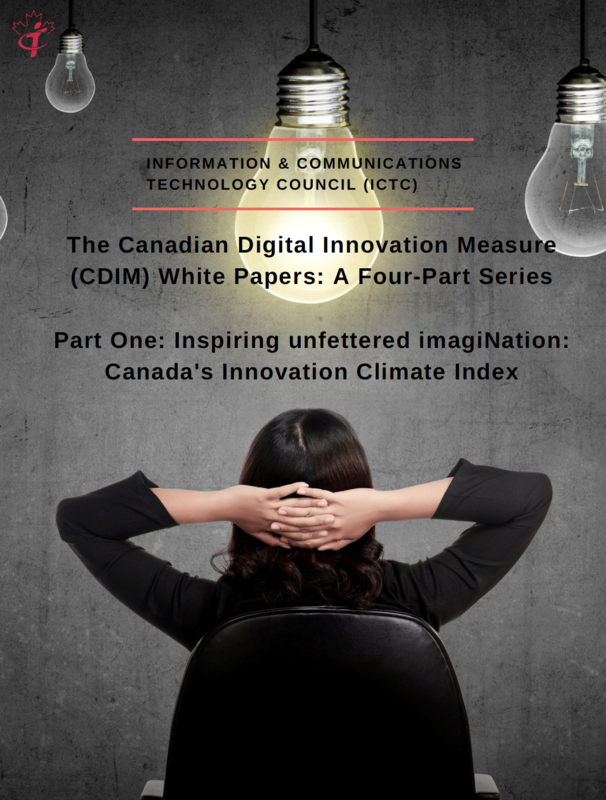 While the conditions that underpin an innovative digital economy are somewhat universal around the world, ICTC believes that economic innovation must be combined with social innovation to provide a true measure of prosperity. 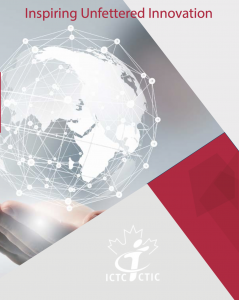 ICTC will be exploring, over the course of this year, a range of key policy measures that contribute to a successful ecosystem of innovation, these will include: the talent imperative (entrepreneurial & workforce), advanced digital infrastructure and services at competitive pricing, open internet, Canadian skills in a digital world, strong fiscal and financial measures, access to international markets, vibrant R&D base, consumer trust and security online, as well as many others. On March 13th, 2018 ICTC held a bi-lateral luncheon meeting with 13 industry leaders from the Belgian technology sector and 10 North American leaders. The meeting allowed delegates to discuss the Canada European Union Comprehensive Economic and Trade Agreement (CETA) and the importance of increasing trade between Canada and Europe. Digital technologies have not only offered drastic changes to the technology sector itself, but they are positively disrupting all sectors of the economy. They have changed the way we work and the nature of work itself, the reach of communication along with the way we interact, and ultimately, they have changed the way we live. As a result, these shifts have left our institutions, regulatory bodies and even international agreements in a race against time as they struggle to keep pace. 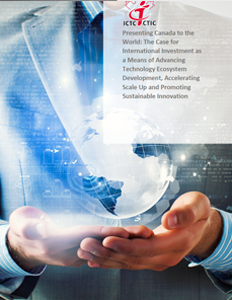 The Case for International Investment as a Means of Advancing Technology Ecosystem Development, Accelerating Scale Up and Promoting Sustainable Innovation. 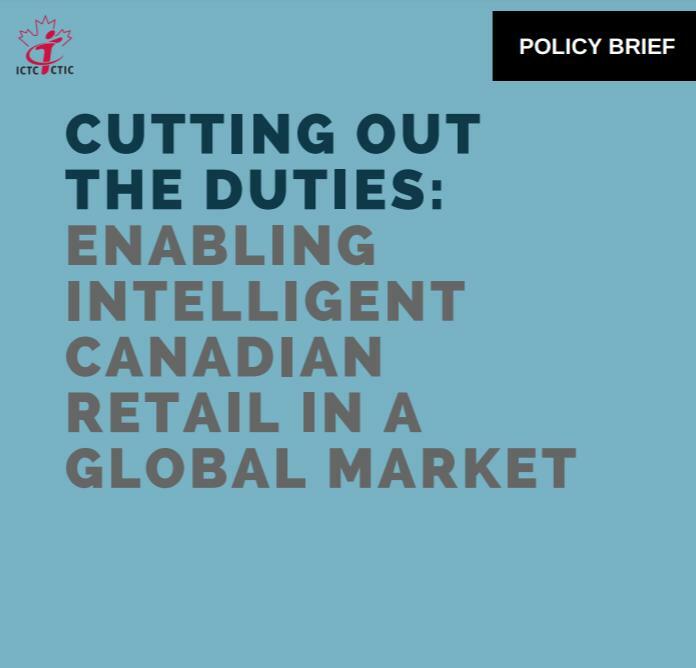 The Talent Imperative in a Global Context policy brief sheds light on the changing face of the digital labour market in Canada and highlights the importance of enabling a strong talent supply to enable businesses to compete and grow in scale and scope. 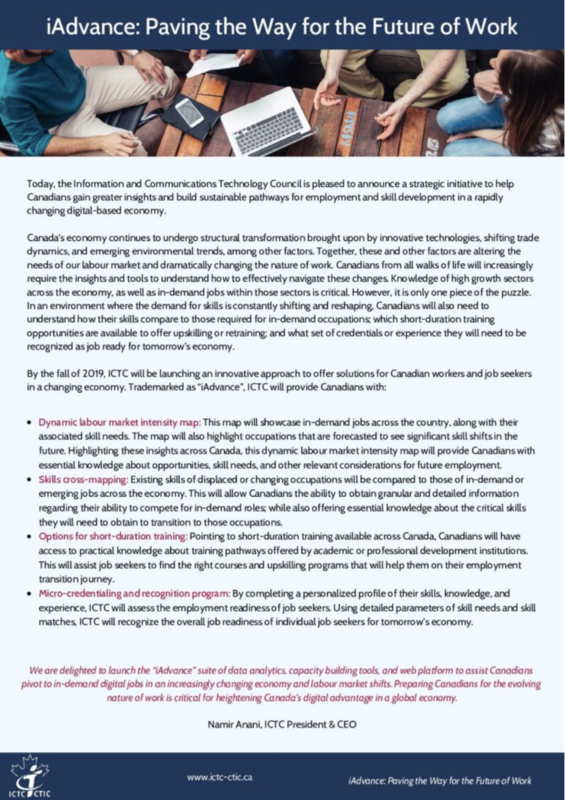 Canada’s Innovation Agenda will need to address the technology talent gap to better leverage the impending hyper-connected and smart economy enabled by the Internet of Things (IoT). revolutions and will impact how we live, work and interact. The Internet Age brought communications into our homes and our hands through mobile technology.